We have established ourselves as a leading organization that is actively committed towards offering Oil Pouch Packing Machine. 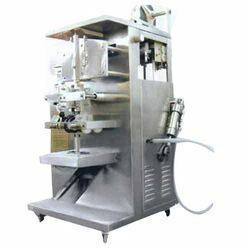 The offered machines are developed using superior quality material and latest techniques in conformity with set industry standards. We are giving these machines from us on number of specifications as per customer’s requirements. Furthermore, these machines are properly inspected on numerous quality parameters for assuring its excellence at customer’s end. With sincere intentions to preserve and uplift our reputation in the market, we bring forth a distinguished assortment of Fully Automatic Form Fill Machine. The offered machine is developed expertly as per the prevailing market norms using high quality material and contemporary techniques. 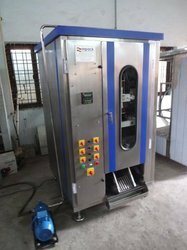 This machine is suitable for packing various types of paste & Liquid items. Offered machine is provided in varied of specifications to choose from. Looking for Oil Pouch Packing Machine ?